Please use the FAQ guide to answer your questions about TPMS (tire pressure monitoring systems) and ATEQ TPMS tools. The FAQ guide includes the following topics: about TPMS, general TPMS and TPMS tool information, how to update ATEQ TPMS tools, TPMS tool troubleshooting, and more. A tire “naturally” loses 0.2 atmosphere (2.9 PSI) every 3 months. 85% of all tire blasts are preceded by a “slow” puncture. An underinflated tire is not only dangerous because it can explode, it is also dangerous for the stability of the vehicle, and penalizes the consumption and the total life of the tire. 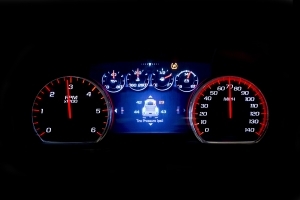 What does the TPMS dashboard light/warning indicate? The light will illuminate when a tire is low, and should eventually go out after a tire has been inflated to its recommended pressure according to the vehicle’s door placard. After starting a vehicle, a TPMS icon will turn on for a few seconds, however, if it stays on, it indicates that one or more of the tires on the vehicle is at least 25% below the recommended pressure. If the light flashes for approximately one to two minutes, it indicates there is a malfunction in the TPMS system. The tire pressure monitoring system (TPMS) primary function is to make the driver aware of the state of tire pressure within the wheels. Under normal system operations, the TPMS system will alert the driver when one or more affected tires PSI reading falls below 25% of the placard. When the tire sensor indicates “low tire pressure”, it sends a radio frequency (RF) signal of 315 or 433 MHz to the ECU on the vehicle that determines if the pressure is below the threshold, which then will indicate a TPMS symbol or position-specific display, depending on the vehicle. In 2000, after Firestone recalled more than 6.5 million vehicles due to tread separation, the NHTSA (National Highway Traffic Safety Administration) issued the first version of the TREAD Act which required Tire Pressure Warning Systems to be implemented on all vehicles sold in the United States by the year 2008 including all passenger vehicles and light trucks with GVWR of 10,000 lbs. and less. A TPMS equipped tire can display the TPMS sensor internal pressure and warns drivers when it reaches a low level by displaying a TPMS warning light. There are two types of TPMS systems: direct TPMS and indirect TPMS. Direct TPMS systems use TPMS sensors inside the wheel to accurately report pressure data to the vehicle’s ECU in real time. Direct systems include Asian, Domestic and European vehicles. An indirect TPMS system uses an ABS system to monitor the speed of the wheel in order to approximate tire pressure. Indirect systems include Asian and some European vehicles. Perform the correct initialization procedure. This may require a TPMS diagnostic tool to find the steps involved to reset the system. What does a TPMS activation tool actually trigger? 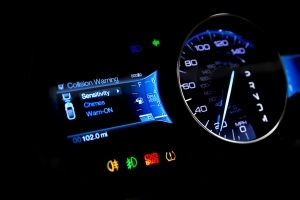 Users “trigger” or “decode” the TPMS sensor within the wheel. This TPMS sensor is not physically reachable since it is mounted inside the tire. Therefore, decoding or triggering a sensor must be done wirelessly using a TPMS triggering tool. What is a TPMS activation or trigger tool? A TPMS activation or trigger tool allows the user to activate or trigger the wireless tire pressure monitoring sensor mounted within a tire. For example, all TPMS sensors carry an internal battery that can drain while in storage. When a vehicle is manufactured in a plant, the TPMS sensors mounted within the tire are left in “sleep” mode when delivered to a workshop or dealer. Therefore, the TPMS activation tool is needed to “activate” or “wake up” TPMS sensors mounted within the tires. What is a universal TPMS tool? A universal TPMS tool can trigger or activate all known TPMS sensors on the market as opposed to TPMS tools that only trigger one or few sensors. What is the difference between a TPMS reset tool, TPMS activation or trigger tool, and TPMS decoding tool? A TPMS reset tool can be used to reset or reprogram the OEM or Aftermarket TPMS sensor to the vehicle’s ECU whenever tires are replaced or changed from summer to winter tires, tire is replaced, tire rotation, etc. A TPMS activation or trigger tool allows the user to “wake up” or activate the sensors while in “sleep mode” or while inactivate. A TPMS decoding tool can trigger or activate sensors, receive TPMS sensor information and send the TPMS sensor information to the vehicle’s ECU. The TPMS sensor information received by the TPMS decoding tool includes the pressure within the tire, the temperature of the TPMS sensor, the wheel rotating speed, the TPMS sensor unique ID, the battery status of the TPMS sensor, and more. Reprogram the vehicle’s ECU so the vehicle recognizes the new sensor when tires change order, switch from winter to summer tires, mount a new wheel to a vehicle, etc. Before contacting support, have you updated your software recently? The number one reason for ATEQ TPMS tool issues is outdated software. Update your tool’s software and check to see if your issue(s) continue. Why can’t my current TPMS tool trigger, activate or reset some sensors? If your TPMS tool cannot activate or reset a sensor, we recommend updating your TPMS tool to include the latest TPMS sensors. With a growing TPMS market, new TPMS sensors are new to the market every day. ATEQ engineers are hard at work to make sure all known TPMS sensors are compatible with ATEQ TPMS tools. ATEQ upgradeable TPMS tools such as the VT56, VT55, VT36, VT30 and VT15 are always compatible with the latest TPMS sensors released to the market. How do I update my ATEQ TPMS tool? If this is the first time you are trying to update your tool, start here. VT56 boot mode instructions: Turn the tool off. Press and hold the OK button, then press and release the ON button at the same time. VT55 boot mode (loader) instructions: Turn the tool off. Press and hold the ENTER button (the downward arrow the points to the left). Press and release the POWER button at the same time. VT36 boot mode instructions: Turn the tool off. Press and hold the OK button, then press and release the ON button at the same time. VT30 boot mode (loader) instructions: Turn the tool off. Press and hold the ENTER button (the downward arrow the points to the left). Press and release the POWER button at the same time. Have the device powered on and connected to the PC using the USB cable that was included in your tool kit. VT56 boot mode instructions: Press and hold the OK button, then press and release the ON button at the same time. VT55 boot mode (loader) instructions: Press and hold the ENTER button (the downward arrow the points to the left). Press and release the POWER button at the same time. VT36 boot mode instructions: Press and hold the OK button, then press and release the ON button at the same time. VT30 boot mode (loader) instructions: Press and hold the ENTER button (the downward arrow the points to the left). Press and release the POWER button at the same time. I cannot update the tool. Before contacting support, please try the following troubleshooting options. If your subscription has expired, please contact your tool supplier to purchase a software subscription. To prevent a low battery status, connect the charger. Does the PC recognize the tool? Changing the USB port may help. Is the internet connection speed OK? If the internet connected was interrupted during the process, you must restart the whole process. Is the PC screensaver function turned off? This may interrupt the updating process. Please turn off your screensaver or power saving mode on the PC before proceeding. Where in the process, does the installation stop? If initiating the update fails, putting the tool in boot mode may help. Performing the update twice may sometimes be necessary. Where to locate the tool’s serial number? 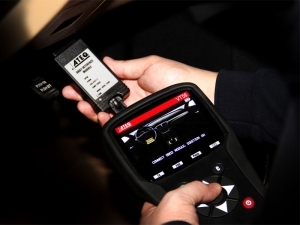 Not all ATEQ TPMS tools and equipment display a serial number. Please see the list of ATEQ TPMS tools below with a serial number location. Providing a serial number to tech support will expedite the waiting period. VT56: The VT56 tool serial number is located on the back of the tool, it begins with B366. VT55: The VT55 tool serial number is located on the back of the tool under the rubber boot. You must remove the rubber boot to locate your serial number. The serial number begins with B285. VT36: The VT36 tool serial number is located on the back of the tool. The serial number begins with K360. VT30: The VT30 tool serial number is located on the back of the tool, it begins with K300. VT60/VT60S: The VT60 and VT60S tool serial number is located on the front of the tool. The serial number begins with B258. VT520: The VT520 serial number is located on the front of the instrument. The serial number begins with C102. DiagVT: The DiagVT serial number is located on the front of the tool. The serial number begins with B240. TTD (Tire Tread Depth Gauge): The TTD serial number is located on the back of the tool. The serial number begins with B380. Why does my VT55/VT56 start flashing when I connect the OBDII module to a vehicle for the first time after updating my tool’s software? There is new firmware available for the OBDII module, and the device is attempting to communicate with the vehicle and complete a firmware update at the same time. Simply power the tool off and then on again. Once the main menu is displayed, connect the OBDII module only to the device; leaving the other end disconnected from any vehicle. The OBDII module will be detected almost immediately by the tool and the firmware, and the update will begin. The update takes less than 60 seconds to complete. Once completed, disconnect the OBDII module and power the device off. The update is now complete. ATEQ covers 99% of all passenger vehicles. If you find a vehicle equipped with a TPMS system and it is not shown in tool, please don’t hesitate to contact ATEQ. If the vehicle is a commercial vehicle, it may not be in the database. If the vehicle is imported, you may need to change the database in the settings (EUROPE, AMERICA, KOREA) to find it. Vehicles with direct-type TPMS systems are equipped with TPMS sensors. If a TPMS sensor is not working, it must be replaced before a relearn procedure can be performed. The damaged TPMS sensor can be replaced by an OE sensor or an aftermarket sensor. There are different types of aftermarket TPMS sensors including universal, configurable and programmable sensors. OE sensors, universal and configurable sensors have new sensor ID’s already encoded within the sensor and need to be activated by using a TPMS diagnostic tool. Programmable TPMS sensors require a TPMS diagnostic tool to create new sensor ID’s or transfer sensor ID’s from the old sensor. For multi-brand repair shops, a mix of universal sensors and OE sensors is often required. Our tools support the largest aftermarket sensor list on the market including, Alligator sens.it, BWD Standard OE and Standard QWIK, Continental REDI-Sensor, Dorman Direct Fit, Hamaton U-Pro, HUF IntelliSens, MOBILETRON, NAPA QWIK and OE Design, Orange Simple Sensor, Schrader EZ-sensor, SMP Standard OE and Standard QWIK and STEELMAN Select. The displayed pressure is incorrect. Possible cause: the protocol used is incorrect. Contact ATEQ. Check if the vehicle is equipped with sensors, or with an indirect system. If you cannot detect the sensor, change the position of the tool against the tire. Wait until at least 35 seconds. Change the distance between the tool and the wheel. Try ALL of the car’s sensors. It is VERY rare, that ALL sensors are dead. If the others respond, the sensor can be considered as defect. Please replace. If all else fails, the TPMS protocol used in the tool’s database may be wrong. Contact ATEQ. When I trigger the sensor, the message REDUCE TIRE PRESSURE is displayed. Some first generations of TPMS sensors (such as Beru or Pacific) need to be put under pressure in order to be activated. The correct procedure, when the sensor is fitted in the wheel, is to inflate the wheel according to the tire placard. The user should trigger the sensor, and slowly deflate the tire simultaneously. After a few seconds, the sensor will respond. Enter the correct tire pressure. Once aftermarket sensors have been programmed, verify them. The programmable sensors should react exactly the same way as their OE original sensors. Replace an old sensor by creating a new sensor ID using a blank aftermarket programmable sensor. Before servicing tires, trigger the vehicle’s sensors by Make, Model, Year selection or VIN scan. (VIN scan option available in North America only.) Triggering the vehicle’s sensors will allow you to identify damaged or defective sensors. If your tool fails to display the sensor information after trying to trigger the sensor, you will need to create a new sensor by selecting the vehicle’s Make, Model, Year or by sensor model. Watch the video below to learn how to program an aftermarket TPMS sensor with the VT56. The same instructions apply for all other TPMS tools that are able to program sensors. There are two ways to program a blank sensor with the ATEQ VT56. – Next, select the vehicle’s Make, Model, Year. – Select CREATE, press OK to create new sensor information. – Position the sensor in front of the tool’s antenna. – The sensor has been successfully programmed. – From the main menu, select program, then select the vehicle’s Make, Model, Year. Verify that the aftermarket sensor is compatible. 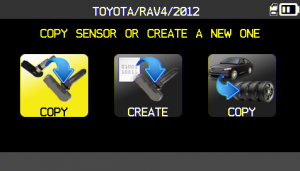 In the tool, check if the sensor brand is in the list of compatible sensors for the vehicle’s make, model and year. If the sensor used is compatible, the tool database may be wrong. Contact ATEQ. Verify that the aftermarket sensor is compatible. If all the data is correct, one of the programmable sensor may be defect, please contact the sensor maker. When I program a sensor, the tool displays the message WRONG FREQUENCY, CHANGE SENSOR. The aftermarket sensor cannot be programmed in the frequency required for that vehicle (315 or 434 MHz). The user should check if the sensor is compatible with the vehicle selected. When I program a single sensor the tool displays VERIFY ERROR, PLEASE TRY AGAIN. If this happens during the upload process, verify that the aftermarket sensor reference is compatible in the tool. If all this data is correct, the sensor may be defective, please contact the sensor maker. If this happens during the verification process, the tool’s database may be incorrect. Please contact ATEQ. Cause: The aftermarket sensor does not communicate the correct firmware to the vehicle. Verify that the AM sensor is compatible, in the tool. If the information correct, please contact the sensor maker for further help. After triggering 4 OE or aftermarket sensors, I connect the OBDII module into the ECU, and nothing happens. Please check all points above before proceeding. After triggering 4 OE or aftermarket sensors, I connect the OBDII module into the ECU. The message TRANSFER FAILURE appears on the screen. Possible cause 1: If the progress bar does not move; the OBDII protocol is wrong and it is not possible to establish a connection between the tool and the ECU. The issue is in the vehicle database. Verify MMY selection, by entering the VIN number. Possible cause 2: If the progress bar starts to progress and stops in the middle of the process, there is a possible error in the software, or in the compatibility of the aftermarket sensor, which does not send the correct data into the ECU. An auto relearn procedure is when a vehicle has the ability to learn single or multiple TPMS sensor IDs without the need of performing the relearn procedure with a TPMS tool. Furthermore, a technician can adjust the inflation pressure, rotate or replace sensors and the TPMS system will reset itself after the vehicle has been driven for a period of time. However, before servicing the tires/wheels, it is always recommended to use a TPMS tool to trigger each of the vehicle’s sensors to make sure they are working properly. IMPORTANT: For any OBD issue please check the following first. Ensure that the OBD module is the one originally purchased for the designated tool. Verify that the tool is sufficiently charged: > 50% battery level. When the OBD module is connected cable to the VT56 tool via the RJ45 cable, make sure the OBD icon displays on the tool screens upper left corner. Make sure that a green LED light flashes on the OBD module for the VT56 and VT55. If the light is red, disconnect the cable from the OBD module and from the tool. Connect the cable again, and turn on the tool. If the light is still RED, the OBD module, the cable or the tool may be faulty. Please contact your supplier to replace the cable. For the VT56 tool, after programming the sensors, when the OBD protocol is ready to be transmitted, a YELLOW icon in the bottom left corner. Plug in the OBD module and proceed. When connecting the OBD module to the car, make sure that the OBD module is inserted straight forward towards the OBD plug in the car. It is very important ALWAYS to trigger the sensors in the order displayed in our tools. It starts from left front wheel and finishes in left rear wheel. To transfer the data to the ECU, the car ignition must be ON (meaning all electrical equipment can be operated), motor OFF. 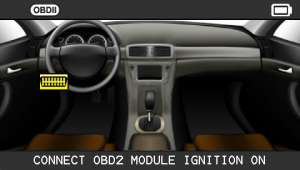 NOTE: The OBD module must be disconnected from the vehicle and the tool, after each relearn. An OBDII relearn procedure requires a TPMS diagnostic tool to transfer new sensor IDs directly to the vehicle’s ECU. The user will need to trigger each TPMS sensor, connect to the vehicle’s OBD port, then follow the step-by-step instructions on the tool. The new TPMS sensor IDs are then transferred to the vehicle. Most Asian and specialty European vehicles require OBD relearn. Manual and stationary relearn systems can sometimes take several steps to relearn the TPMS system. TPMS diagnostic tools have the step-by-step instructions for auto, stationary and OBD relearn, however, the steps involved can be long and complicated. OBD relearn procedures are becoming standard in a shop environment for many reasons. First and foremost, it is the easier to work with since the same procedure can be performed no matter what the vehicle type is. 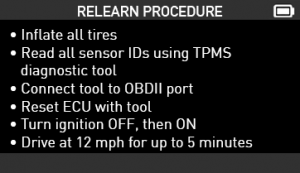 Secondly, OBD relearn saves time and confusion for the technician since there are less steps to perform. According to amra.org, 62% of vehicles require a TPMS diagnostic tool and 27% require OBD functionality. It is important to have a reliable TPMS diagnostic tool with excellent OBD coverage to keep up with the growing industry of TPMS. Did you know? ATEQ has the largest OBD coverage (86% and growing) to help shop owners save time and money! A stationary relearn procedure allows new TPMS sensor IDs to be transferred to the vehicle’s ECU without driving a vehicle. 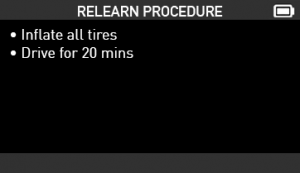 This type of relearn procedure requires a TPMS activation tool to trigger the sensors when the vehicle is in learn mode either by using a TPMS diagnostic tool or a diagnostic scan tool. The vehicle then uses a radio frequency (RF) signal to communicate with the vehicle’s ECU to establish which sensor is in which specific location. When service has been performed to the vehicle’s direct TPMS system, such as air pressure adjustment, tire rotation or replacement of sensors, vehicles require a TPMS system relearn to be performed. 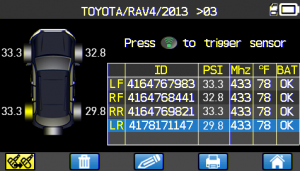 A relearn allows the vehicle’s ECU to see the ID’s of each sensor in each wheel. Completing the relearn procedure clears TPMS diagnostic fault codes and allows the vehicle’s TPMS system to function properly. 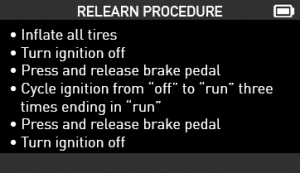 Relearn procedures vary by manufacturer, so a technician must know which proper relearn procedure is necessary to put the vehicle in learn mode. 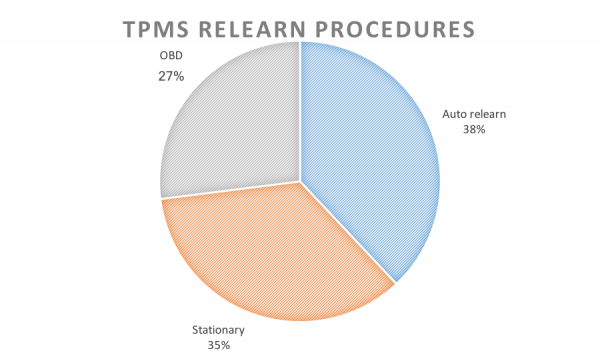 Although relearn procedures differ from manufacturer to manufacturer, the three types of relearn procedures for direct TPMS systems are auto relearn, stationary and OBD. Furthermore, some vehicles may use a combination of two or more relearn types. Indirect TPMS systems use an initialization procedure which may require a TPMS tool to figure out the steps involved to reset the system. The chart below represents the three types of TPMS relearn procedures within the market of Asian, Domestic and European vehicles equipped with direct TPMS systems. Connect the VT15 to your PC using the USB cable supplied with the tool or equivalent. After loading the WebVT software has finished, disconnect the USB cable from the VT15. Press the TX button on the VT15 and the 2 LED’s will flash momentarily. The tool is now WebVT compliant and up to date. VT56: Plug the USB cable in the tool on the right side of the tool. Check the USB cable icon on the left corner of the display. If the USB cable icon is on, the USB connection is working correctly. VT56: Put the tool in boot mode to check the USB cable connectivity. First, turn the tool off. Next, press and hold the OK button, then press and release the ON button at the same time. VT55: Put the tool in boot mode to check the USB cable connectivity. First, turn the tool off. Next, press and hold the ENTER button (the downward arrow the points to the left). Press and release the POWER button at the same time. For the VT56, check the SD card icon on the upper right corner next to the battery status. If there is a red “X” through your SD card icon, it is faulty, please contact tech support for further instructions. Please complete the following steps to correct the issue. Download the USB drivers for your device. For the VT56, VT55, VT36, VT30, VT15, Mitsureset and Quickset, please download the following file: Usb Driver. Where is my SD card located (VT56, VT55)? For the VT56, remove the rubber boot. You will locate the 4GB SD card on the right side. Push in the SD card to remove. For the VT55, remove the rubber boot. You will locate the 2GB SD card on the bottom of the tool. Push in the SD card to remove.